Deep cushioned back and seat conform to body contours for proper alignment. Curved polyurethane loop arms are soft, yet durable. Five-star base with hooded casters. 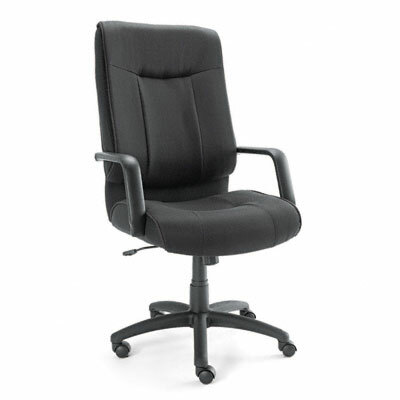 Deep cushioned back and seat conform to body contours for proper alignment, posture and all-day comfort. Curved polyurethane loop arms are soft yet durable. Meets or exceeds ANSI/BIFMA standards. Pneumatic seat height adjustment. 360° swivel. Tilt tension and tilt lock controls. Black five-star base with hooded casters. Arm Height From Seat 6 1/2"
Distance Between Arms 21 1/2"